On State-level Himachal day, Chief Minister Jayaram Thakur gave the civil administration award to the district administration Kullu. 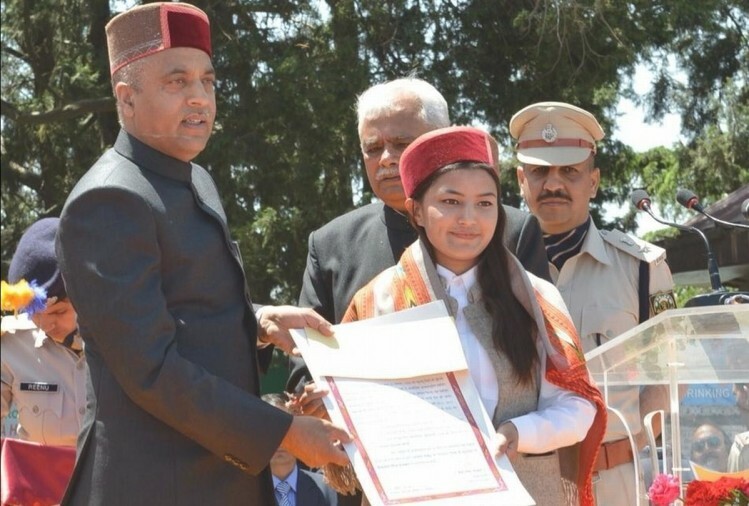 Aanchal Thakur of Kullu district was awarded the Himachal Gaurav award. Chairman of the Policy Commission, respected by the source of inspiration. Vinod K Pal, Dr. Randeep Guleria Director, AIIMS, Archaeological Excavation researcher Dr. Om Chand Handa and Chinmay Rural Development Organization, Dharamsala. Civil Service Award- District Administration Kullu was given a ‘gokullu.com’ website under ‘Go Kullu’ project for the convenience of tourists in the year 2017. The specialty of this project is that if a tracker is lost in remote areas or stuck in any adverse situation, then it can be searched with the help of geo-tracking. Himachal Gaurav Puraskar – Anchal Thakur, born in Burua village of Manali in Kullu district, got a bronze medal in India, representing India in the International Skiing Competition held in Turkey in 2017. Aanchal Thakur is the first player in the country to win an international medal in a skiing competition. Presently, Korea is training in Europe to prepare for the Winter Olympics competition to be held in Chang, Yangtze. Next articleFrozen rivers and mountains surrounding Leh airport. Roof of the world!